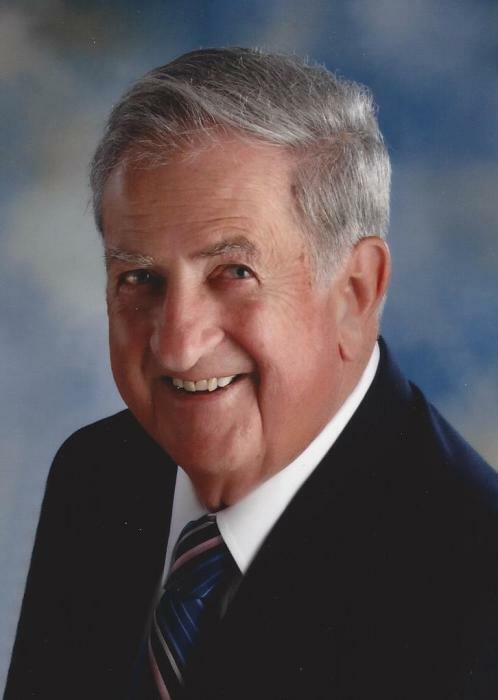 Obituary for James G. Burish | Peterson Kraemer Funeral Homes & Crematory Inc.
James G. Burish, 88, Marathon, died Monday, January 28, 2019 at Ascension Saint Clare's Hospital. He was born July 18, 1930, in Francis Creek, Wisconsin, son of the late Edward and Leora (Jost) Burish. He married Lillian Skrzypcak on August 6, 1955 at Sacred Heart of Jesus Catholic Church, Town of Cassel. She survives him. When he was 16 years old, he got his first job at the Edgar Basket Factory. Shortly afterwards he started working for Albert Mandel Cheese Factory in Colby, WI. A little later, he worked for Seeman Cheese Factory for 3 years in Loyal, WI. While he was at Seeman’s he got his Cheesemakers license (while only 18 years old). He then worked for Zimmerman's Cheese factory in the town of Marathon. In 1951, he made cheese for about 10 years at Pine Valley Co-Op, Edgar. He then made cheese for Pauly Cheese Co., Edgar for about one year. In 1962, James and Lillian bought their own cheese factory 4 miles south of Marathon and changed the name to Marathon Cheese Factory. About 1968 he started growing ginseng with help from his brothers John and Kenny. He continued operating the cheese factory and growing ginseng until 1978 when he closed the cheese factory to grow ginseng only. In the fall of 1994 he planted his last ginseng garden and harvested it in early September, 1997. James had a special bond with his five grandsons. He loved watching videos of The Three Stooges with them, letting them drive his pickup on the farm, sharing unique phrases and words with them (that they will never forget) and always being there to watch them at various activities as they matured into young men. Survivors include his wife of 63 years, Lillian Burish, Marathon; children: David (Marie) Burish and Kay (Randy) Voigt, both of Wausau; son-in-law: Dean Ruplinger, Mosinee; grandsons: Reverend Jesse Burish, Christopher (Kera) Burish, Jamison (Anne) Burish, Bennett (Megan) Ruplinger and Jordan Ruplinger; great grandson: James Ruplinger; brothers: Elton (Joyce), John, Thomas (Kathy), Norbert (Barbara) and Michael Burish; sisters: Janet Skrzypchak and Shirley Reid; sister-in-laws: Shirley Burish, Dawn Mae Burish and Dolores Schueller; brother-in law: Marvin (Kathy) Skrzypcak. Besides his parents, he was preceded in death by a daughter: Mary Lynn Ruplinger; three sisters: infant Margaret, Sister Beatrice, and Beatrice (David) Wadzinski; six brothers: Rueben, Eugene (Donna), Marlen (Theresa), Edward, Anthony and Kenneth; brother-in-laws: Clarence Skrzypchak, Alex (Doris) Skrzypcak, Louis Skrzypcak, and George Schueller; sister-in-laws: Susie Burish and Cecilia Skrzypcak. The funeral Mass will be celebrated at 11:30 a.m. on Saturday, February 2, 2019 at St. Mary Catholic Church, Marathon. Rev. Msgr. Joseph Diermeier and Rev. Jesse Burish will co-preside. Burial will be in the parish cemetery. Visitation will be on Saturday from 9:30 a.m. until time of services at the church.